When shopping online the average consumer has several payment options at his disposal, such as cash, check, money order, debit card, teller's check, certified check, cashier's check, cash on delivery and bank transfer. However, all things considered the best payment option, by a long shot, remains a credit card. 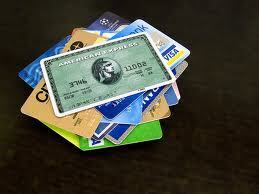 There are various reasons why you should use credit cards for online purchases. It’s convenient, quick, and easy; but above all it is safe. For instance did you know that under federal law, if you should incur an unauthorized charge on your credit card, you liability is limited to only $50? And, to make things better, some credit card issuers (including all MasterCard and VISA cards) and website operators release you of this liability under special circumstances. Yet another reason why you should reach for your plastic when buying something from an online store is to protect your rights in case you have a dispute with the seller. Under the federal law, you are protected by two rules – the billing error rule and the claims and defenses rule. The first applies if a merchant has been authorized to charge your account - this includes both your credit card account and a revolving charge account you have with the merchant - and there is an error in the bill received by you. You are also covered if they goods were delivered late, or you never got them, or the products delivered did not comply with the contract and you refused to accept them. When faced with any one of these situations, you have 60 days to issue a written notice of the dispute from the time you receive your statement or bill. The notice must be sent to the "billing inquiries" address as specified by the merchant/creditor on his bill. He, in turn, has 30 days to acknowledge your inquiry and up to 90 days to investigate the complain, correct the mistake in the bill, or explain why he believes no action is required to be taken. In the meanwhile, he is not allowed to collect the claimed debt. Under the claims and defenses rule, you are allowed to dispute the charges made by a seller if you never received the goods, or even if you did accept them, they did not comply with the seller’s contract, or the merchant refuses to honor his return policy. In order for you to be covered under the claims and defenses rule, the purchase must be made in your state or within 100 miles of your home address and the amount must exceed $50. In some states, purchases made via Internet or telephone is usually considered to be taking place where you are, irrespective of where the seller might be based. Finally, the charges can only be disputed if you haven’t paid for them yet and you’ve already tried to resolve the matter in good faith with the seller. There are other reasons why you might want to fall back on your credit card to make payments for your online purchases. Some card companies offer extended warranties on certain products, offer legal protection in the event you receive defective products and even cover you if your credit card number is charged without your authorization. With so much to gain, why would you even want to consider any other mode of payment?